The transportation sector is notorious for being the major source of greenhouse gas emissions (GHGs) in California. This industry is California’s biggest opportunity to make improvements in GHG emission reduction. Unfortunately, Electric Vehicles (EV) are pricier than traditional gas-guzzling automobiles, but have a strong demand amongst communities in California. Because of this, Sonoma Clean Power created incentive and rebate programs to provide EVs at a reduced price for consumers. The following LGSEC Member Spotlight features transportation incentive programs to increase the number of EVs on the road and reduce GHGs in the region. Transportation has always been a key component and focus of Sonoma Clean Power’s (SCP) objective to reduce GHGs in Sonoma and Mendocino counties. On-road transportation makes up approximately 60% of Sonoma County’s GHG emissions; therefore electrifying transportation is key to reducing emission. 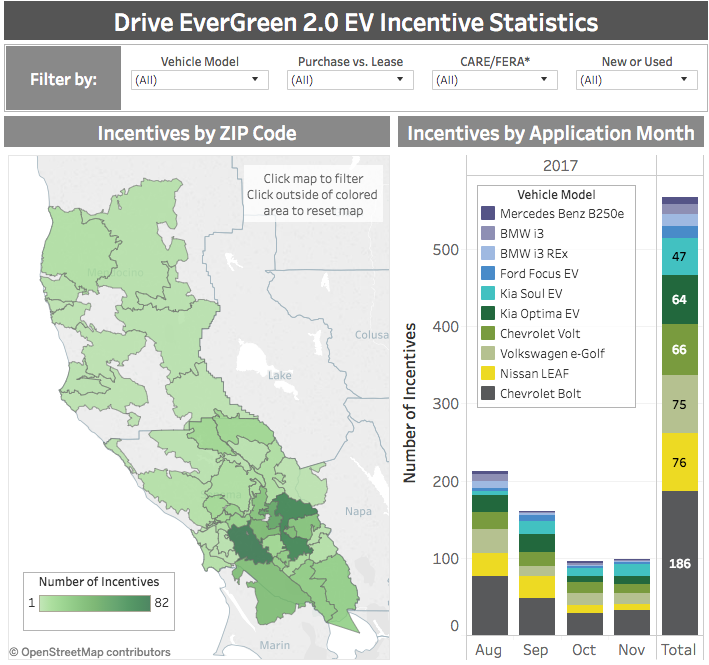 There are three programs targeted at reducing GHGs from the transportation sector: Drive Evergreen, free smart residential charger program, and a Non-Profit EV Incentive program. The Drive Evergreen program, which was first piloted in October 2016, was largely aimed at reducing the cost of an EV, as well as eliminating the common barriers to EV adoption. SCP launched the second phase of the program in August 2017 with an expanded selection of local dealerships and models for customers to choose from. Used vehicle incentives were also a new feature of the program. Thanks to SCP’s extremely clean electricity supply, the two programs have resulted in an estimated GHG reduction of 4,985 metric tons of CO2 over the next three years, which is equivalent to removing a total of 1,067 passenger vehicles! The Non-Profit EV Incentive program is designed with the same intention as Drive Evergreen, but with a greater focus on non-profit organizations that have a profound impact on their community. The incentive is offered as a reimbursement in the amount of $12,500 towards the purchase price of an all-electric or plug-in hybrid vehicle with a minimum battery range of twenty-five miles. This program aims at getting as many EVs into the community as possible to help support participating organizations in their daily efforts. In tandem with both of it’s successful EV incentive programs, SCP is proud to offer free EV smart charging stations to all its customers. Customers can get a free charger to help make adoption of an EV seamless and easy. Customers also have the ability to join the GridSavvy Community and help out the electricity grid under times of stress. GridSavvy gives customers the option to install smart devices, like EV charging stations, smart heat pump water heaters, and smart thermostats, in their home or business and give SCP permission to control those devices. Software and hardware built into every EV charger allows them to connect to the GridSavvy Community to adjust, or briefly interrupt charging, in response to signals sent via Wi-Fi. In addition to cleaning up the energy grid, SCP provides participating customers with a $5 per month bill credit towards the SCP Generation Charges for participating in the program and being part of the solution to the climate challenge. Over the past two years, Drive Evergreen has helped SCP customers save an average of $11,000 on the purchase or lease of an EV, with a total savings of over $10 million. The program has incentivized nearly 800 EVs in a short amount of time. 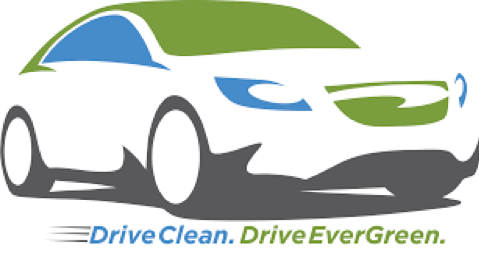 SCP is preparing for the third and final iteration of the Drive Evergreen program, which has been renamed Drive EV. The program is slated to run from August 1 – November 16, 2018. The Non-Profit EV Incentive program has been active for six months, and SCP has contracted with and provided incentives to three organizations in Sonoma County: PDI Surgery Center, PEP Housing, and Greenacre Homes and School. Each organization will be giving updates to SCP as to how their new vehicle has had an effect on their work and influenced the community. Incentives are still available for interested Sonoma and Mendocino county organizations. As the end of its second-year approaches, the free residential smart charger program has provided over 1,900 home chargers to Sonoma and Mendocino county customers and saved them over $1.1 million. As a not-for-profit public agency, all of Sonoma Clean Power’s programs are entirely funded by the revenue collected from its customers. The upcoming Drive EV program will be the last iteration of SCP’s electric vehicle incentive programs for the foreseeable future, so customers are urged to take advantage of the incentives while they’re available. Non-profit organizations are encouraged to contact SCP staff if interested, as the EV incentive will be available until funding limits are reached. While electric vehicles are a key part of the future of transportation, SCP recognizes that charging infrastructure must be developed to meet the demand of the increased load on the grid. Focus will be shifted to further expand the charging network in Sonoma and Mendocino counties.